I’ve mentioned before that I put off haircuts forever. I’ve had enough curly football helmet hairdos to last a lifetime, and I’m always scared. But I seem to be getting over this. This time it only took me 10 months to go get my hair cut! 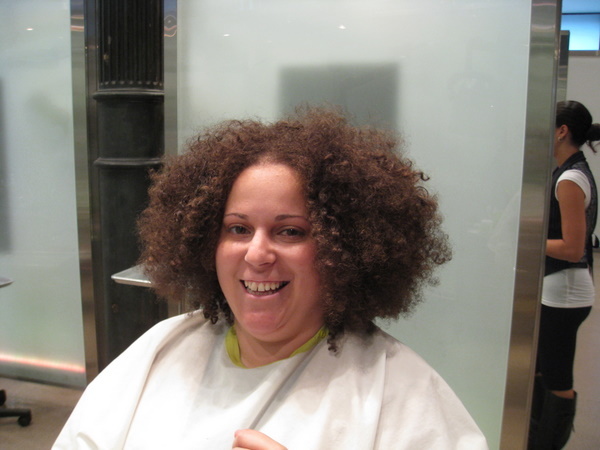 But this is how bad I am: I sat down in the chair, and when my stylist asked me what we were doing with my hair today I had no idea. I went, “Um…shorter?” I was completely unprepared! Usually it’s been so long since my hair’s been cut that stylists scoop me up and take the lead, chopping off hair until it looks presentable again. So I had no plan today…I just assumed she’d cut until she was done. 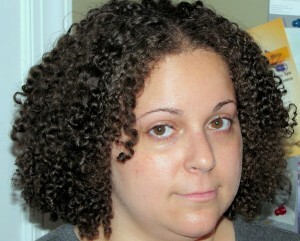 So we discussed my volume issues (pyramid hair), my need to pull it back, my complete lack of time on school mornings. She carved some layers into it and left most of the length, and it’s very fun. But I was so surprised with myself. I normally would fall at the feet of a stylist who doesn’t want to get rid of the length, but I actually went in there hoping she’d chop it off to my ears or something. It reaches a length where I can no longer deal with it, and I start to wear Det. Finn Tutuola Hair, as it’s now come to be known in the Reeve household. Then I want it chopped. So this new frontier of length…with layers and no pyramid…I’m still processing that such magic is possible. Here are some photos. 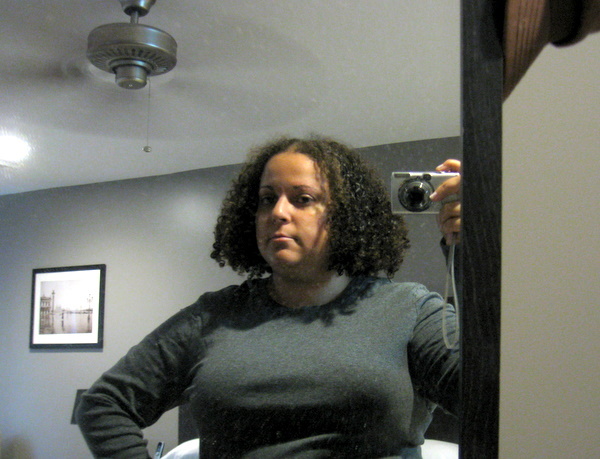 Me being sassy for my before picture. Taming the beast at the salon.